We love Crayola Model Magic! It's so durable, soft and very easy to mold with. Plus it doesn't get stuck in my rugs and on my furniture as other dough compounds do. Many are using model magic to add to their slime recipes too, making for an amazing buttery texture!! 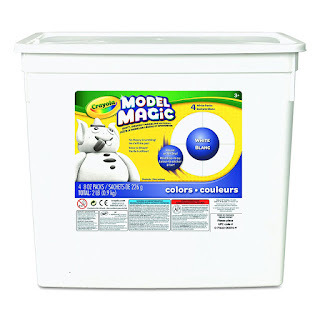 Amazon currently has a great price on a 2 pound bucket of white Model Magic at just $18.75 (reg. $24.99!) 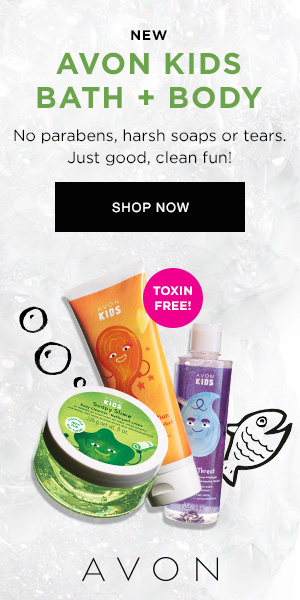 with FREE Shipping. 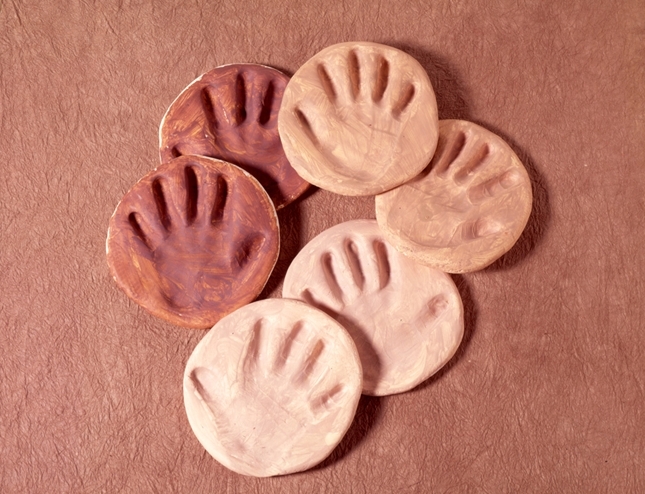 We've previously made hand print plaques using Crayola Model Magic that came out really neat. First, we poked a hole at the top of the circle-shaped dough with the eraser end of a pencil. Next, we had the kids press one of their hands in the dough. Finally, they added sparkly gems, confetti, rocks, and other fun accessories. Let it dry overnight and then string a ribbon through the hole for hanging. I treasure their creations and these always make great inexpensive gift ideas for parents or grandparents. You'll have plenty of dough with this 2 pound bucket. There are so many creative possibilities with this dough! 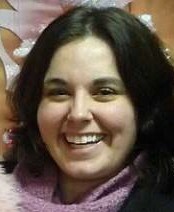 Click here if interested in reading more reviews and/or making a purchase. I bought some last week at CVS, but this is double the amount for the same price! Returning my CVS ones tomorrow!! We made our hand prints tonight using the dough we have as I knew more was coming for Christmas...super excited at how much more!! Thank you!! !